Are you searching IBPS RRB Notification 2018 ?? If yes, then here is good news for you. Institute of Banking Personnel Selection has released notification for 10190 Officers and Office Assistant Posts. Candidates who want to apply for IBPS RRB Recruitment 2018 may fill online form. The online form is available here as well as official website. IBPS RRB Online Form available from 08.06.2018. Candidates who are interested and eligible can apply till last date 02.07.2018. Furthermore information, IBPS RRB Vacancy is mention on below segment. So read full article carefully. About IBPS RRB CRP VII : Institute of Banking Personnel Selection every year conducts Regional Rural Banks Examination. It is a Common Recruitment Process for all candidates who are interested for banking sector jobs. In this year, IBPS is going to conduct RRB CRP VII examination. The IBPS RRB Notification is released for filling up Officers (Scale I, II & III) & Office Assistant Vacancy. This is a golden opportunity for candidates who wanted banking Jobs. So fill here IBPS RRB Online Form 2018 to the direct link, which is mention below. More information related to IBPS RRB Jobs collect from below paragraphs. Fresh Update as on 02.07.2018 : Aspirants are informed that today is the last date for IBPS RRB Jobs 2018. Participants can fill up their applicantion form only up to 02.07.2018. Here we provided you links to apply for IBPS RRB Vacancy 2018. Fresh Update as on 27.06.2018 : The department of Institute of Banking Personnel Selection has released IBPS RRB Notification 2018 already. if you are interested to filling up IBPS CRP VII Application Form then apply before on 02.07.2018. You can fill online form of IBPS RRB through direct link, which is available at the bottom of article. Fresh Update as on 21.06.2018 : Dear Applicants, If you are eligible or interested to filling up IBPS RRB Application Form then you must fill it before the last date. We advised you, don’t wait last minute rush and fill immediately IBPS RRB Online Form 2018. In below section, you can also download IBPS RRB Notification and then apply online link. Fresh Update as on 18.06.2018 : IBPS RRB Notification is released for filling up 10190 Officers & Office Assistant Vacancy. Applicants who are interested and eligible also for given vacancies don’t wait last minute rush. And fill IBPS RRB Online Form through below link. The last date is 02.07.2018. Hurry up ! Fill IBPS CRP VII Application Form 2018. Fresh Update as on 11.06.2018 : If you want to fill IBPS RRB Application Form then you can fill here. The online registration for Reginal Rural Bank CRP VII already started. Applicants can fill the IBPS RRB Online Application Form till last date i.e 02.07.2018. The direct link is available at the end of article. Fresh Update as on 08.06.2018 : Dear Applicants, IBPS RRB CRP VII Online Form now available on official site. Candidates who want to apply online for IBPS RRB Recruitment can fill here application form. The direct link is available on below section. General information of IBPS RRB Notification 2018 – What is the Registration Dates of IBPS CRP 2018 ? Important Events of IBPS RRB Recruitment 2018 – What is the Last Date for IBPS RRB Application Form ? Application Fees for IBPS CRP VII 2018 Vacancy | How I Can Pay IBPS RRB Application Fees 2018 ? How Can I Get Information Of IBPS RRB Notification 2017 – 18 & Registration Date For RRB CRP VI 2017 ? What is Important Date For IBPS RRB Notification 2017 – 18 ? How Many Age will Required For IBPS RRB CRP VI Notification 2017 Exam ? What is Application Fee, Selection Process & Salary Structure – IBPS RRB Notification 2017 – 18 For CRP VI Exam ? Candidates who want to apply for Officer Scale I & office Assistant Vacancy must fulfill eligibility criteria. You can check your eligibility conditions on here or IBPS RRB Notification 2018. It includes details of education qualification, age limit and others. So before going to fill up IBPS RRB Officer Recruitment 2018 must check eligibility criteria. Applicants who want to apply for IBPS RRB Jobs must have Bachelor’s Degree in any discipline from recognized university. For Officer Post candidates should have degree in relevant discipline. For more details IBPS RRB Vacancy check below section. The age criteria is made as on 01.06.2018. 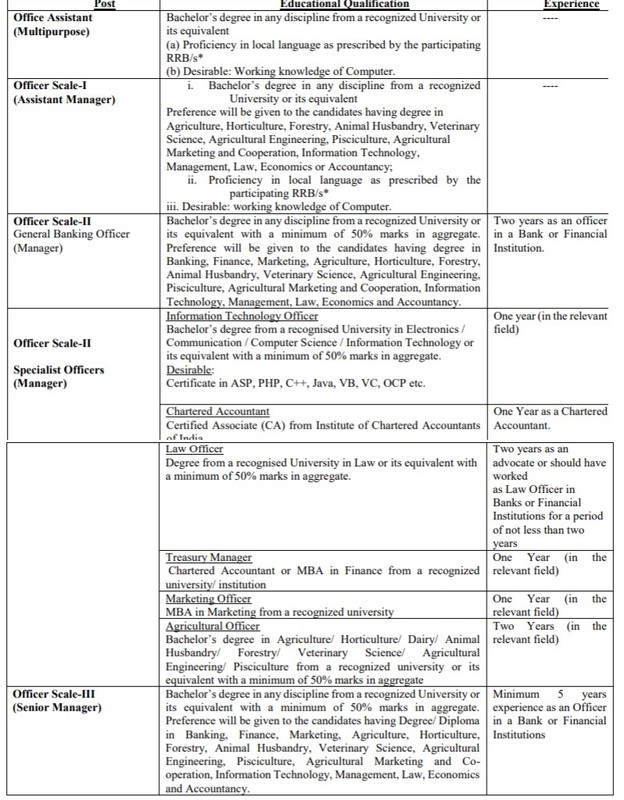 Details of IBPSC RRB Officer Notification age criteria is mention below. For Office Assistant (Multipurpose) : Candidates minimum age require for IBPS RRB Office Assistant Recruitment is 18 years. Applicants should not be more than 28 years. Officer Scale –I (Assistant Manager) : If you are going to apply for IBPS RRB Officer Scale –I Jobs must completed 18 years. The maximum age is require 30 years. For Officer Scale –II (Manager) : Participants should be minimum 21 years and not completed 32 years. 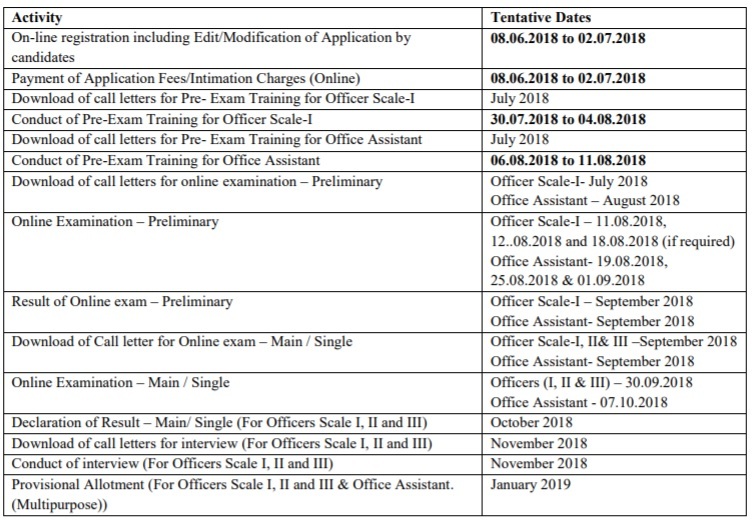 Officer Scale III (Senior Manager) : Applicants who want to apply for IBPS Officer Scale III should completed 21 years and not more than 40 years. Age relaxation is applicable as per govt. norms. Applicants selection will be made on the basis of written examination and personal interview. First preliminary examination is conducted for IBPS RRB Recruitment 2018. Then qualified candidates will can attend the mains examination. After that personal interview will be organized for qualified candidates. Final selection will be made on the basis of main examination and personal interview. Check IBPS RRB Syllabus 2018 for more information. 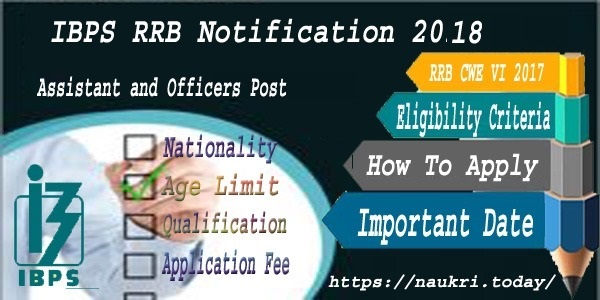 Refer further details IBPS RRB Notification 2018. IBPS RRB Online Form fees will be paid through online mode. you can use credit card/debit card/ net banking and other online payment methods to deposit the fees. Applicants who are interested to attend IBPS RRB Examination and also fulfill eligibility criteria, may apply through online mode.IBPS RRB Online Form is available from 08.06.2018. Before the last date you must fill IBPS Officers Online form or Office Assistant Online Form. In below section, you get steps how to fill the IBPS RRB application form. Download IBPS RRB Notification 2018 for Officers & Office Assistant Vacancy. Read the notification carefully and then click on Apply Online link. left side you get IBPS RRB Vacancy Online Form. Now click on Common Recruitment Process for Regional Rural Bank Exam. Click on to New Registration and entering your basic information. After that, you get unique registration no. & password displayed on screen, Email Id and Mobile. Login for IBPS RRB Recruitment and enter your id & password. You must require to upload signature, photograph, left thumb impression, A hand written declaration. And now payment of RRB IBPS Jobs Application Fees through online mode. Then click on final submit of application form. Now take print out of IBPS Office Assistant application form for future reference. Conclusion : Institute of Banking & Personnel Selection has issued notification for 10190 Officer (Scale I, II & III) & Officer Assistant Post. Applicants who want to download IBPS RRB Notification can download from here. Online registration is starting from 08.06.2018. Candidates can apply for IBPS RRB Recruitment 2018 before the last date 02.07.2018. Full information is available on above section. Are you searching IBPS RRB VI 2017 Recruitment Notification pdf ? If yes, then here is news for you. Institute of Banking Personnel Selection is going to announced a IBPS RRB Notification 2017 – 18. There are 15338 Post of Group “A”-Officers (Scale- I, II & III) and Group “B”-Office Assistant (Multipurpose) post. All candidates required to check RRB 2017 exam eligibility criteria before apply for IBPS Online Form. Eligible Applicants can fill the IBPS RRB 2017 Online Application Form in between 24.07.2017 to 14.08.2017. What is IBPS RRB 2017 ? Department every year conducts Common Recruitment Process for RRB Recruitment at different cities of all states. A large number of students take part in this IBPS Regional Rural Bank Exam every time. This is also a great chance for all students to become a Assistant and Officers post in the Bank. Check IBPS RRB Notification 2017 – 18 Profile here. All Candidates required to read Full Notification of IBPS RRB Recruitment Exam. And check all related details about the RRB CRP VI 2017 Assistant and Officers Scale Posts. 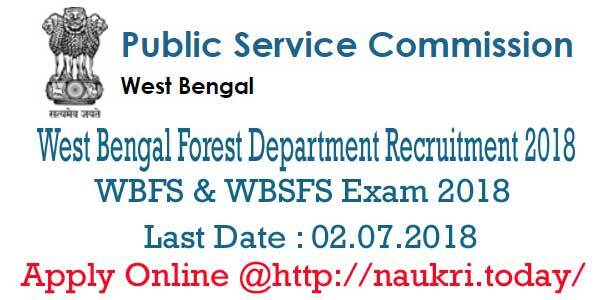 Our Team of naukri today are providing here State Wise Category wise vacancy details. Interested applicants can check IBPS RRB Notification 2017 – 18 CRP VI Vacancy Details in given below pdf format. Dear Candidate here is great news for you IBPSC RRB VI Recruitment Notification 2017 to released in July 2017. RRB CRP VI 2017 Office Assistant and Officers Scale Recruitment Notification to be Released at www.ibps.in. A candidate can apply for the Post of RRB Office Assistant (Multipurpose) and can also apply for the Post of Officer. Applied contestant will attend the Pre & Main exam for IBPS RRB CRP VI 2017 Exam in the month of September & November 2017. All Participants who wish to apply for IBPS RRB 2017 Exam they must have to check all important dates of CRP VI RRB Exam before preparation. Applicants can check given below Important Dates, Exam Date in given below tabular format. We are discuss about What Are the Eligibility Parameters To Apply For IBPS RRB CRP VI recruitment notification 2017 ? or Who Can apply for IBPS RRB CRP VI 2017 Officers (Scale-I, II & III) and Office Assistants (Multipurpose) Post ? Full details of IBPS RRB Eligibility Criteria 2017 Check Now from given below. A candidate must be either follow given below citizenship & nationality. a person of Indian origin who has migrated from Pakistan, Burma, Sri Lanka, East African countries of Kenya, Uganda, the United Republic of Tanzania (formerly Tanganyika and Zanzibar), Zambia, Malawi, Zaire, Ethiopia and Vietnam with the intention of permanently settling in India can apply for IBPS RRB Vacancy. 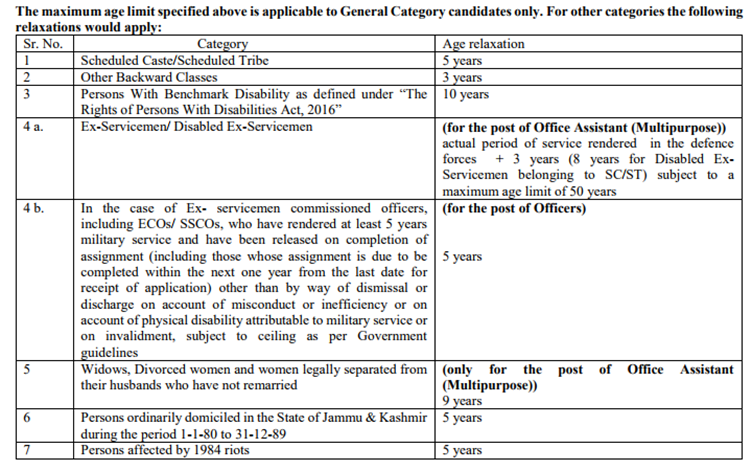 candidate belonging to categories (2) & (3) above shall be a person in whose favour a certificate of eligibility has been issued by the Government of India. Candidates who fill this IBPS RRB Recruitment 2017 Form visit age limit given below as on 01st July 2017. Age relaxation should be applicable as per Govt. rules & regulations 05 years for ST/SC candidate and 03 years for OBC candidate for IBPS RRB Notification 2017 – 18. For Officer Scale- III (Senior Manager) : 21 years to 40 years i.e. (03.07.1977 to 30.06.1996). IBPS For Officer Scale- II (Manager)- 21 years to 32 Years (03.07.1985 to 30.06.1996. For Officer Scale- I (Assistant Manager)- 18 years to 30 years (03.07.1987 to 30.06.1999). 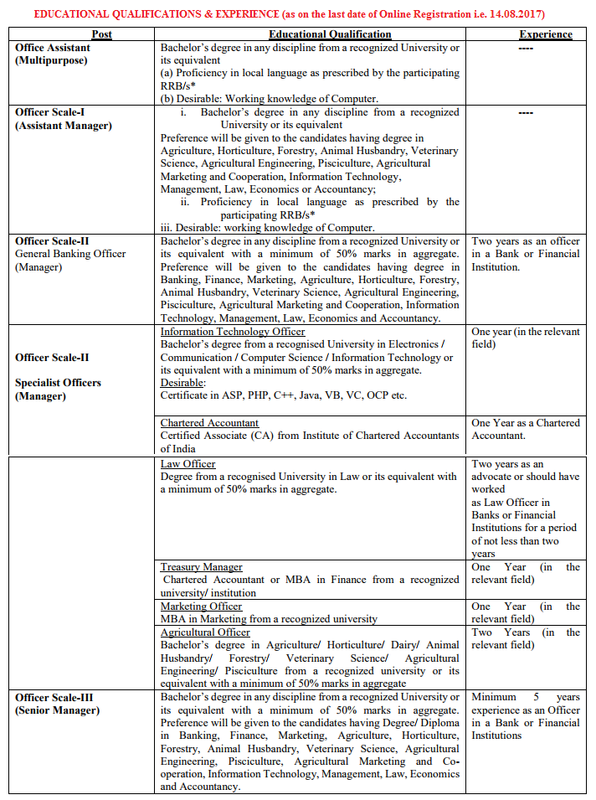 IBPS For Office Assistant (Multipurpose) – 18 years to 28 Years i.e. (02.07.1989 to 01.07.1999). Applicants should possess Degree (Graduation) in any discipline from a University recognized by the Govt. Of India or any equivalent qualification recognized as such by the Central Government, BE/ B.Tech, Chartered Accountants, Degree in Law, MBA in Marketing, Degree in Agriculture from recognized university. 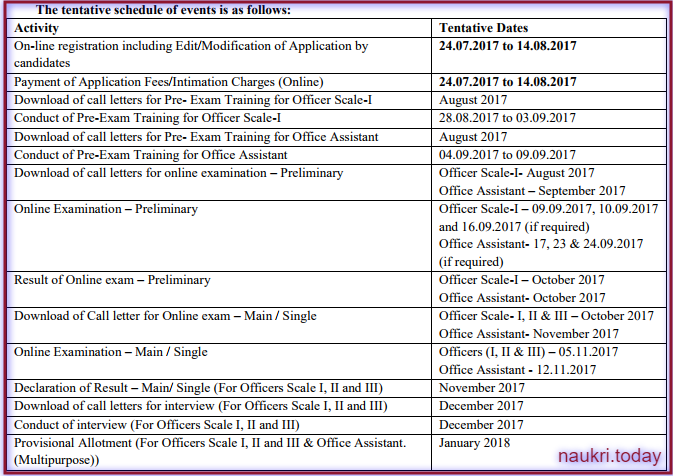 more details for IBPS RRB Notification 2017 – 18. What is IBPS Online Application Form Fee – IBPS RRB Notification 2017 – 18 : General Category aspirants need to pay Rs. 600/- as application fee and Reserved Category appliers such as SC / ST / PWD Candidates need to submit Rs. 100/- application fee. The Application Fees / Intimation Charges along with Applicable Bank Transaction charges pay through Online Payment Mode using Debit Cards (RuPay/ Visa/ MasterCard/ Maestro), Credit Cards, Internet Banking, IMPS, Cash Cards/ Mobile Wallets. Salary Structure of IBPS RRB Officer & Office Assistant (Pay Scale is avaliable as per IBPS CWE Notification) : Pay Scale are provide for IBPS RRB notification. 1. For Office Scale 1- at 100% DA for new recruits= Rs. 28000-31000. 2. For Office Scale 1- at 100% DA for new recruits= Rs. 32000-38000 (approx.). 3. For Office Scale 3- at 100% DA for new recruits= Rs. 36000-42000 (approx.). All the Eligible & Interested Applicants should be selected on the basis of their best performance in written exam and personal interview. Institute of Banking Personnel Selection (IBPS) Conducts Common Recruitment Process (RRB CRP VI) for Assistant and Officers Scale I Posts in different Public Sector banks and financial Institution. IBPS department provides the study material exam pattern previous paper for crack Regional Rural Bank CRP 6 (Prelims & Mains) examination 2017. Only Shortlisted candidate will called for an interview. Candidate should check IBPS NEW Syllabus & Exam Pattern Click Here. At First Candidate who are interested for Regional Rural bank CRP 6 Exam can check they are eligible or not. If Contestant are eligible for required criteria then they are fill the IBPS Online Form before the last date. We are providing here step-by-step instruction for IBPS RRB 2017 Online Application Form (CRP VI) Notification Pdf. Left Side corner you find “CRP – RRBs” link choose it for IBPS RRB Notification 2017 – 18. For more details check ibps RRB recruitment 2017 advertisements. If you meet the eligibility, they click on the “Apply Online” Link. The participant should have a valid Email ID with Password which will used in future in various terms of IBPS CRP RRB IV online Registration. Participant scanned photo and sign in required format and size. and both the photograph (4.5cm × 3.5cm) and Signature in capital letters. Necessary documents which will used in make online payment of the requisite application fee/ intimation charges. Submit the online form after rechecking all the entries by clicking on SUBMIT Button for IBPS RRB Notification 2017 – 18. Department will send all necessary details about RRB CRP VI Exam 2017 such as Applicant IBPS Exam Registration ID and Password. Dear Applicants here all the details are available related to IBPS RRB CRP VI Notification 2017 – 18. 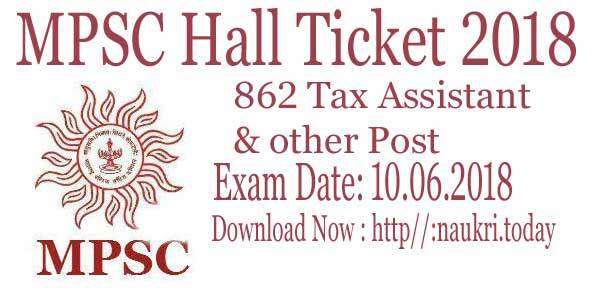 Admit Card Result syllabus, Exam Pattern & Many more are available from given below section in tabular format. Apply Here For IBPS Online Form 03.07.2017 to 17.07.2017. Conclusion IBPS RRB Notification 2017 – 18 : Department is released IBPS RRB Recruitment 2017 notification for Assistant and Officers Post. Applicants who are eligible can fill the (CRP VI) – Officer & Office Assistant IBPS online Form before the last date 14.08.2017.